[prMac.com] Toronto, Canada - Love is in the air, and the 2life mobile app is helping couples stay connected this Valentine's Day. 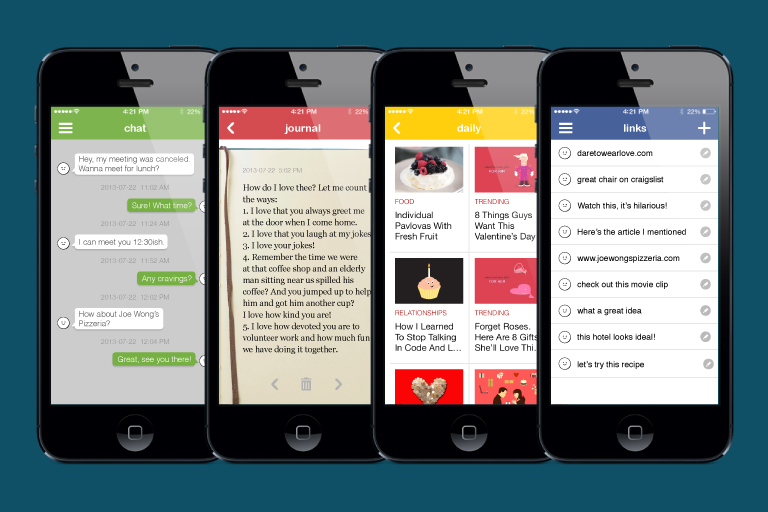 Along with its powerful sharing and communication tools for two, 2life serves up couple-focused content right in the app, including Valentine's Day gift guides, budget-friendly date night ideas, and entertaining blog articles about love and relationships. "Valentine's Day is a great reminder that the sharing that matters most is with the one you love," says 2life founder, Diane Hall. 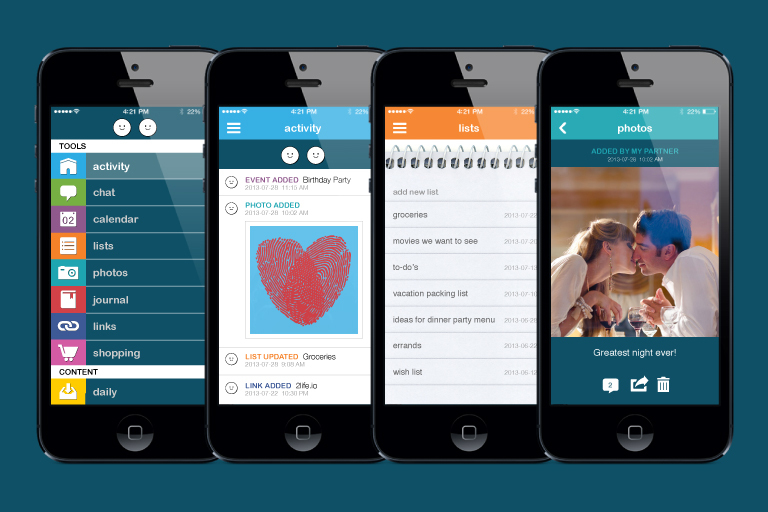 "We created the 2life mobile app to support that kind of sharing in couples' everyday lives." Designed for two people, 2life lets you and your partner share, collaborate and coordinate all in one place. You can coordinate your calendar events, share photos and web links, make and manage lists in real time, send text messages, write journals, shop at top retailers and enjoy lifestyle content. It's the perfect way for you and your favorite person in the world to stay connected. The 2life App is available for FREE from the iTunes App Store on iPhone, iPad and iPod touch. 2 For Life Media Inc. is the creator of 2life, the app for your most important relationship. Designed for two people, 2life is a private, secure network that lets you chat, share, collaborate and coordinate with your partner, all in one place. Launched in July 2013 on the App Store in 14 languages, it is available for iPhone, iPad and iPod touch. Upon its release, 2life was featured on the App Store in 62 countries in various categories, including New and Noteworthy, Editor's Choice, What's Hot and Must-Have Apps. Our other properties include the 2life Ultimate Wedding Planner iOS app for couples, 2life digital magazine, and a daily lifestyle blog. Copyright (C) 2014 / 2 For Life Media Inc. All Rights Reserved. Apple, the Apple logo, iPhone, iPod and iPad are registered trademarks of Apple Inc. in the U.S. and/or other countries.